I recently had the opportunity to view this never again released, made for TV movie and I have to admit that I now know why it was never re-released. In fact it should probably be buried in the deepest cess pits of Tattoine. It was the longest two hours of torture I have ever endured, yet strangely amusing. Like a train wreck, I found that I couldn’t walk away from it. I am still not even sure what the plotline was or if there was one to begin with. I know that it started out with Han Solo and Chewbacca trying to get back to Chewbaccas home planet in time to celebrate Life Day. Apparently Chewy has a wife, son and father that he has abandoned so he can go hang out with a smuggler, but this Life Day celebration is important enough that he has to go back there. Beyond that the rest of the show really has nothing to do with Chewbacca getting home. Unless you speak Wookie the first ten minutes of the show is simply a bunch of furry creatures shouting at each other, and it pretty much goes down hill from there. 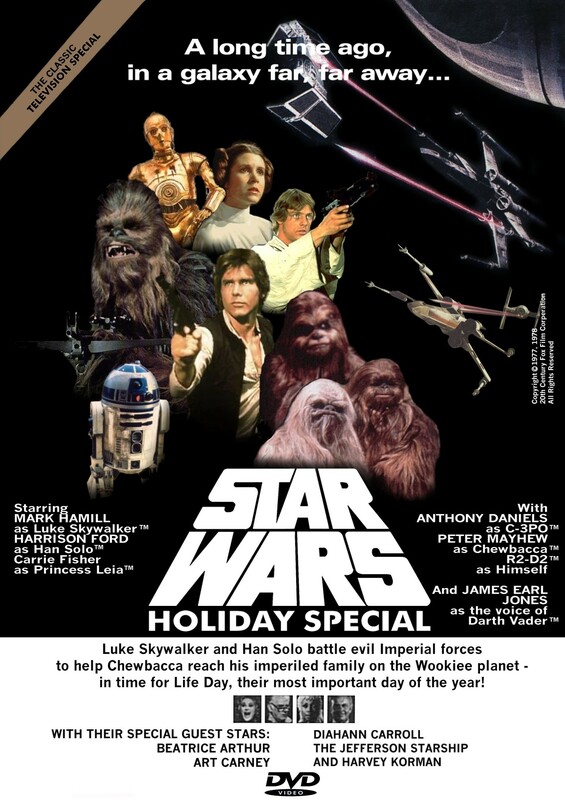 There are a variety of guest appearances from Bea Arthur, Jefferson Starship, Art Carney, Harvey Korman and a few others I couldn’t name interspersed with footage from the original Star Wars movie. The one upside to this whole ordeal is that you get to see the first appearance of Bobba Fett, that made it just a little more tolerable. However if you are like me, then you are just going to torture yourself again next Christmas as you dust it off and plug it back in to your machine. Being a geek, I of course love my movies and I have a huge collection. 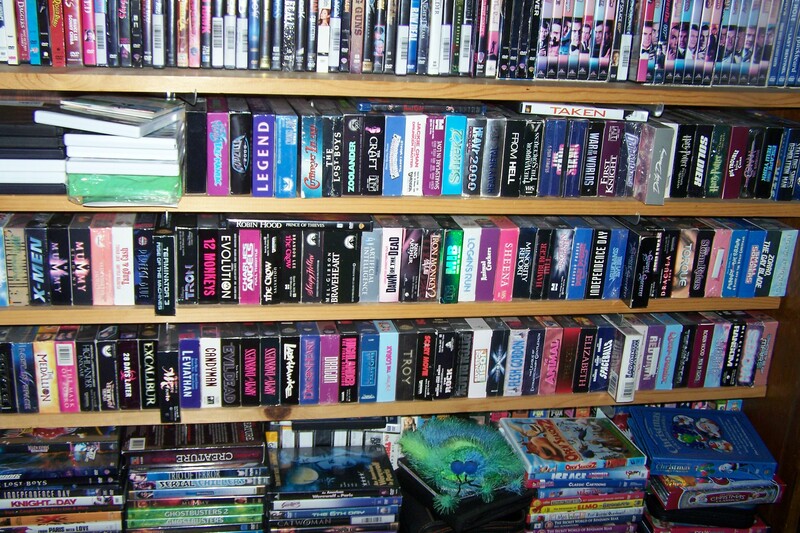 Most of my collection is in VHS with many of them probably never making it into DVD format. When my movies do make it to DVD, of course I buy them but I frequently find that they have lost some of their charm because they have been remastered, colorized, enhanced or had something else done to them that was never intended. Many of these old movies also lose much of their charm when shown on 52″ HD televisions. Instead of a creepy old mausoleum you can now tell that it’s a cardboard set with plastic gargoyles, once again some of the charm is lost. Despite this loss of charm I am still a big fan of these movies and will continue to introduce them to my son as he hits the appropriate age for them. I realize that I have been absent for a very long time, unfortunately life has taken me many places, not all of them good. I am back, or will at least try to be back and I think that I will start out turning this into my nerd blog. My blog about movies, cosplay, comics and all things nerd, geek or just catch my fancy. If that doesn’t work for you, then I am sorry and I won’t be offended if you chose to unfollow me. For two days now I have gotten phone calls from “Private Number” ad each time they were from a Microsoft support group. Yesterday I played with them for a little bit. The guy that could barely speak English and was obviously sitting in a call center. He told me he was calling about a problem with my windows computer, so I asked him which computer…after stuttering for a bit he responded that it was my windows computer, once again I asked which windows computer, what version. Stuttering again “XP“, I then asked him what the IP was, or the registry number…more stuttering as he tells me my computer is sending them error codes. I asked which codes, and now he changes it to be that my computer has downloaded spam and malware from a compromised site, so once again I ask him what site, can I have the IP?….and it just continued with this guy trying to read his script and doing what minor improvisations he can…he wasn’t even good at them, he apparently knew nothing about computers. Today they called me again and I decided to play some more, this time it was 45 minutes and I wrote down the whole conversation while I was talking to him. Him: Your Microsoft Windows Computer? Me: Once again, which one? Me: Okay, that narrows it down a little, which laptop? Me: Are you getting the I-D-10-T error? Him: Do you see the Windows button on your Windows PC?. Him: Click on it and the R button at the same time. What do you see? Him: Very good, sir. Now enter EVENTVWR and click OK. Him What do you see? Him: That is because of the virus in your system. Now I’m going to tell you how to download our software so I can help you clean your computer and it will work better. Me: Okay, but doesn’t my antivirus and spam blocker do that? Him: Somethings bypass those. Go Microsoft Internet Explorer. Him: You have opened Microsoft Internet Explorer? Him: Very good, now go to www.*********.com. What do you see? A this point, I didn’t bother typing the website because I didn’t want to give them traffic and it might have had something nasty. I told him that I was very familiar with computer and computer codes and that I had in fact been in a teleconference two days ago with Bing programmers(which I had). He then still tried to get me to download some program that would help my computer and probably take my money. I still can’t believe that the ID10T error didn’t even phase him. After looking over a few of my past posts I realized that I really need to proofread them before I hit the publish button. I usually glance them over, but I don’t give them the same critique that I do to paid articles and I can tell. I am very sorry for subjecting you to my clumsy fingers and lazy reading skills. Now on to today’s minor rant. SCHEMA -noun, plural sche·ma·ta [skee-muh-tuh or, sometimes, skee-mah-tuh, ski-] Show IPA , sche·mas. 1.a diagram, plan, or scheme. Synonyms: outline, framework, model. 2.an underlying organizational pattern or structure; conceptual framework: A schema provides the basis by which someone relates to the events he or she experiences. 3. (in Kantian epistemology) a concept, similar to a universal but limited to phenomenal knowledge, by which an object of knowledge or an idea of pure reason may be apprehended. 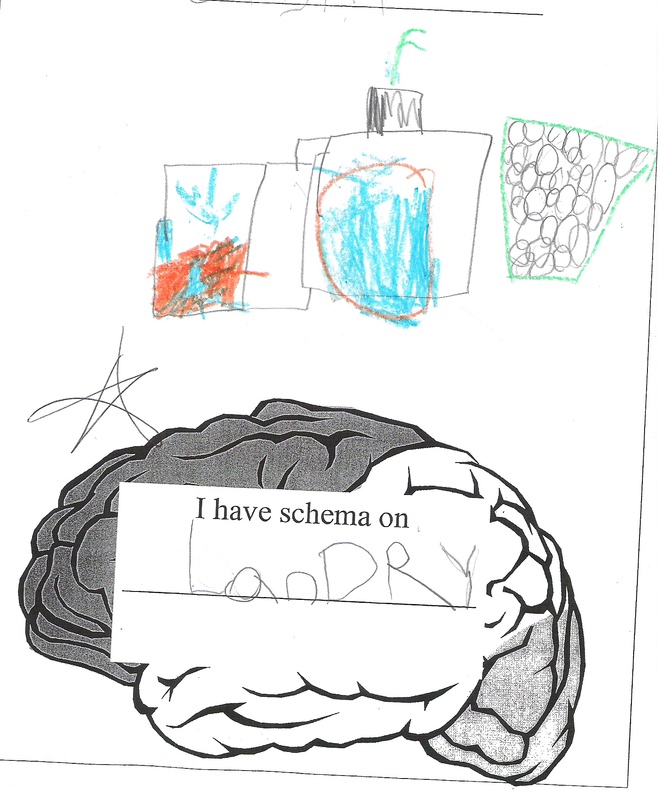 Most adults don’t know what schema means and even those that do know it will NEVER use the word. Why is 5-year-old learning a word that they won’t comprehend the meaning of, be able to pronounce correctly, or even spell? When I asked my son what it meant he said “It’s something I do really good” WRONG – see above meaning. Is this what they are teaching are children? Why don’t they teach them routine, plan, diagram, even sequence of events…teaching them schema is like trying to teach them how to write C++, it’s beyond their comprehension. School is progressing pretty much as I expected. My son can’t sit still or be quiet so he’s getting in trouble. It’s also gone to a 50% chance that I will have trouble with him in the morning because he’s moving slow or being lazy. Other than that, he actually enjoys school once he is there. I picked up a nice little job for a HVAC company. I enjoy writing about something that isn’t drug or tech related, it gives me a change up. I also have the benefit that I know what I am writing about so when it comes to terminology I’m right there with it. Other than that, there isn’t a lot going on. I have a pretty boring life once summer is over. No more ren faire, all the comic conventions are over and I can’t do any more car shows. This weekend I have a dinner party to go to that is Australian themed, should be interesting. I’m trying to come up with some side dishes and everything is what I consider British, so I may just cave in and cook what I know. Well off to do some writing.